Respectively, each of these replaces the current entries – UN1748, UN 2208 and UN 2880. It should be noted also that each is not only categorised as a Class 5.1 oxidiser as shown in the current entries of the IMDG Code, but also carries a subsidiary risk Class 8 , corrosive, as indicated in each new entry title. The safe and proper carriage of calcium hypochlorite is the subject of enquiries we still receive from the marine industry, in particular from P and I Clubs representing ship owners and charterers. It was this powerful oxidising chemical, largely used in the sanitation of water supplies and swimming pools, which caused several explosions in the last quarter of the 20th Century on board ships and in ports. The explosions mainly occurred due to the thermal instability of commercial calcium hypochlorite products transported in ISO shipping containers. 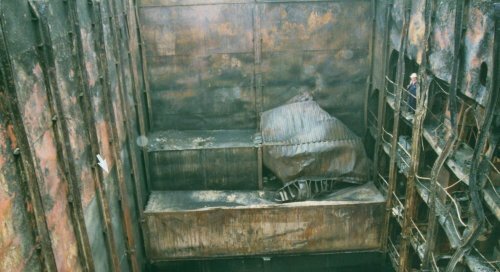 In light of these incidents and following representations made by the International Group of P and I Clubs, the International Maritime Organisation changed the carriage conditions for calcium hypochlorite in 2001 such that it had to be stowed ‘on deck’ only, not in direct sunlight, away from sources of heat and stowed so as to allow adequate air circulation throughout the cargo. These amendments were incorporated in the International Maritime Dangerous Goods Code. In 2011 we assisted the International Group of P and I Clubs in formulating answers to a list of frequently asked questions relating to safe carriage of calcium hypochlorite which has now been approved and circulated to their members. In the last decade or so the number of incidents involving calcium hypochlorite has been very small, probably due to the rules of carriage introduced by the International Group of P and I Clubs which are more stringent than the conditions detailed in the IMDG Code. In addition, some shipping companies have excluded its carriage by the terms of charterparty agreements. However, we have noticed it featuring more noticeably in the last year in our marine investigations. Of particular concern are cases where calcium hypochlorite has been misrepresented, usually by describing it as some other innocuous chemical not included in the IMDG Code. Indeed, our attention was recently drawn to one Chinese manufacturer who openly advertised this practice on their website as being a way of significantly reducing shipping costs to their clients, or as a way of shipping it on vessels subject to a charterparty exclusion clause relating to calcium hypochlorite. We have alerted the appropriate organisations to this appalling breach of safe practice. The misrepresentation of calcium hypochlorite leads to it being stowed in holds below deck, which is a situation that can result in fires and explosions that are more difficult to tackle and leads to more serious incidents than if they had been stowed on deck. It can also cause serious problems if exposed to direct sunlight, for example on deck or ashore in container yards. Whatever the circumstances, the primary concern is the risk to life for those on board ships and for those who handle the containers. Only if the cargo in the containers is correctly declared can there be a proper regime put in place for safe transport.